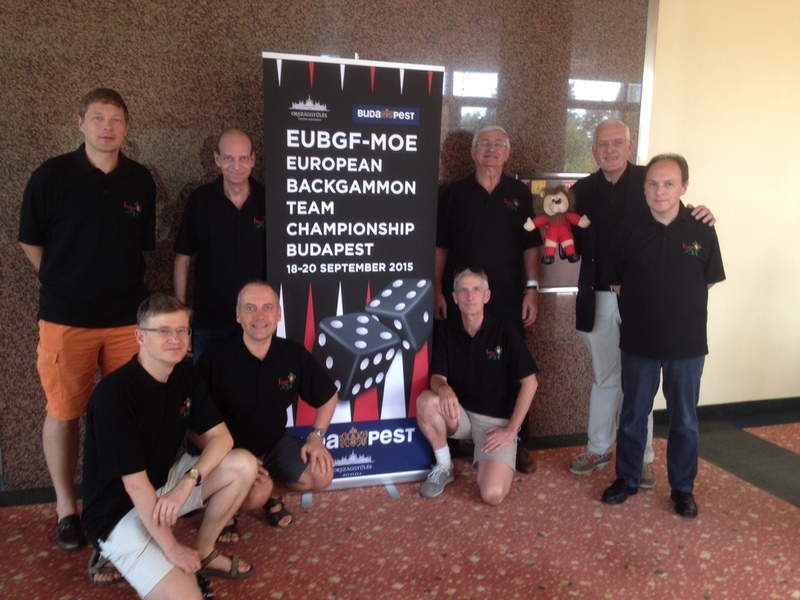 The Belgium Backgammon Team shortly before start of the European Team Championship 2015 in Budapest. From top left: Maurits Pino, Walter Meuwis, Alain Chif, Guy Van Middelem, and Luc Palmans. From bottom left: Zsolt Tasnadi, Geert Van der Stricht and Michel Lamote. The Belgium Backgamon Federation unites clubs and people. Below please find contact information. Feel free to write or call us if you would like to know more about backgammon clubs in Belgium, the events and activities that they organize, and the services that the federation has to offer. The president and public face of the Belgium Backgammon Federation is Guy Van Middelem [guy.van.middelem@telenet.be, +32 (0)476 41 86 88]. If you’re running a backgammon club yourself and if you would like to get in touch with us, then Guy is happy to help you. Guy is also one of the founding members and the current chairman of the formal non-profit organisation BGFed.be vzw. In addition, Guy is co-director of the prestigious Belgium Individual Championship and of the highly enjoyable Brussels Friendly (now Belgium Friendly) tournament series. Guy is perfectly bilingual Dutch/French and he is happy to talk and write to you in English too. Johan Huyck [johan.huyck@wiskin.be, +32 496 64 48 72] is the driving force behind the Backgammon Master Series Belgium. If you would like to be selected for the Belgium team at the European Team Championship, he is the man to convince of your skills. The 4 Cubes, Belgium’s interclub championship, runs efficiently and smoothly thanks to the organizing skills of Luc Palmans [palmans.luc@skynet.be]. This website is maintained by Johan Segers [jjjsegers@gmail.com, +32 (0)494 29 44 60], with help from many others. Johan maintains the national rating list and is tournament director of the yearly Leuven Open. He is one of the founding members of the federation too. Would you like to find out about the backgammon club in your neighbourhood? Then why don’t you check out our page dedicated to the backgammon clubs in Belgium. The table at the bottom of that page lists contact information (website, names, email address and phone number) of the clubs and the people running them.